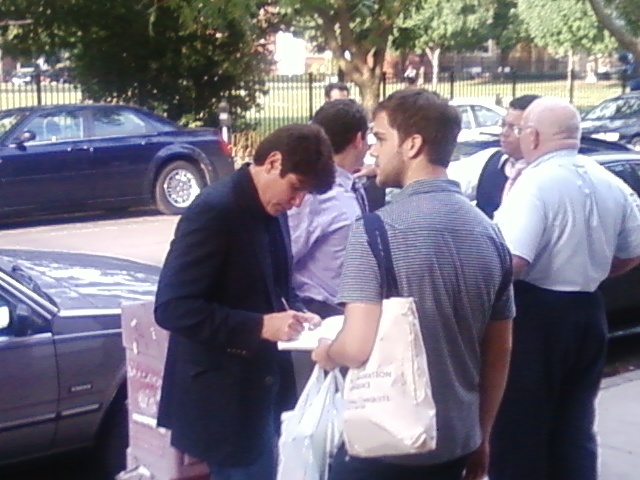 I met Rod Blagojevich yesterday. He was coming out of Medici, a Hyde Park restaurant, and me and my CTS buddies Shaun and Adam were heading into Edwardo’s, a pizzeria a couple doors down. The first thing I noticed was his hair. As we were telling one another that yes, it really was Rod Blagojevich in the flesh, he caught us staring and came over with a grin, hand outstretched: “Hey guys, wanna meet an innocent ex-governor?” We shook hands, as he gave a mini-version of the same spiel he gives everywhere these days: it’s been difficult, but I can’t wait until everything gets cleared up, and yes, it’s definitely going to be all cleared up. He asked if we attend the University (of Chicago). No, says Adam, we go to Chicago Theological Seminary. 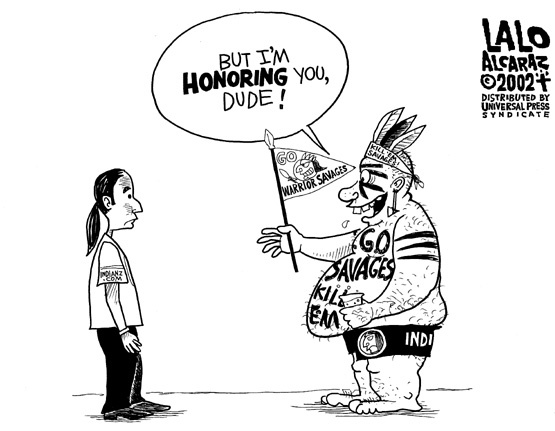 Now this seemed to strike a chord. Eyes widening, he prattled on for a moment about how this experience has really brought him closer to God, you know? He wants us to know that he’s not just saying that because we’re seminarians, but he really believes it’s true: this is all part of God’s plan. Maybe so, I think to myself. I went to Six Flags yesterday. Rode the bumper cars and many roller coasters. Now, at some point in the last year or so, my body has made the transition from “anything goes” to “you’re not as young as you used to be.” I’m not going to get into that here, but suffice to say, walking out of the bumper cars, I had a flash of insight into ancient wisdom: in seeking to harm others, so do I harm myself. 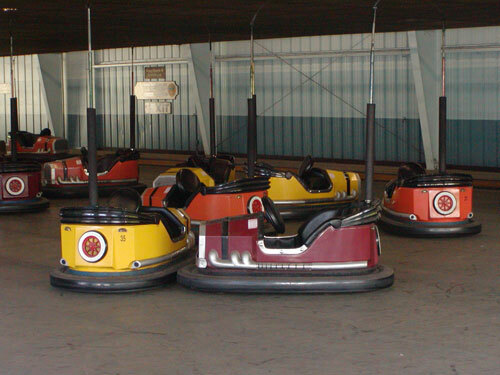 When you think about it, the bumper cars are a pretty good metaphor for certain aspects of dealing with others. On several occasions I found myself trying to plow full-steam into someone – my wife, a friend, someone I don’t even know – only to find that the resulting impact is just as much of a jolt to me as it was intended to be toward the other. Whether the metaphor works or not depends on whether one is willing to accept that this two-way impact occurs for not only physical collisions, but emotional and spiritual as well.